Joomla is one of the most popular content management systems (CMSs) out there that’s designed for power users. However, its complex feature set and advanced functionality might be a little overwhelming – especially if you’re not particularly tech savvy. And for this reason, you may want to consider switching over to a simpler CMS, say, WordPress. 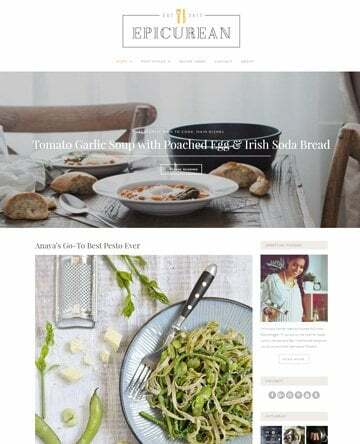 Moving your website from one content system to another may seem painstakingly difficult and even downright impossible at times. The good news is that migrating from Joomla to WordPress is a cakewalk if you’ve got the right tools. In this post, we’ll walk you through a step-by-step tutorial on how to migrate your Joomla website over to WordPress using the FG Joomla to WordPress plugin. By the time you’re done with this post, you’ll have a clear idea of how to make the switch and what to do post-migration. What Do I Need to Know About Joomla vs WordPress? Managing content on your Joomla website is too demanding. You have a team of content producers who are having difficulty finding their way around Joomla’s back-end. Having access to free, high-quality plugins and extensions is important to you. You want a CMS that’s backed by a large support community. 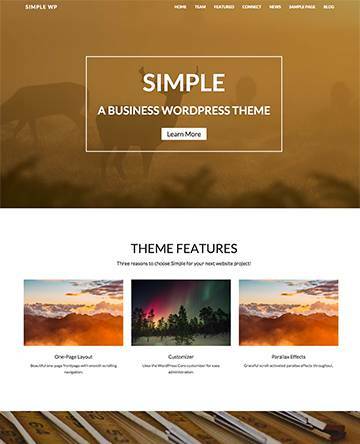 Simply put, if you’re looking for a flexible, customizable, and easy to use CMS, then switching over to WordPress is the best option for you. 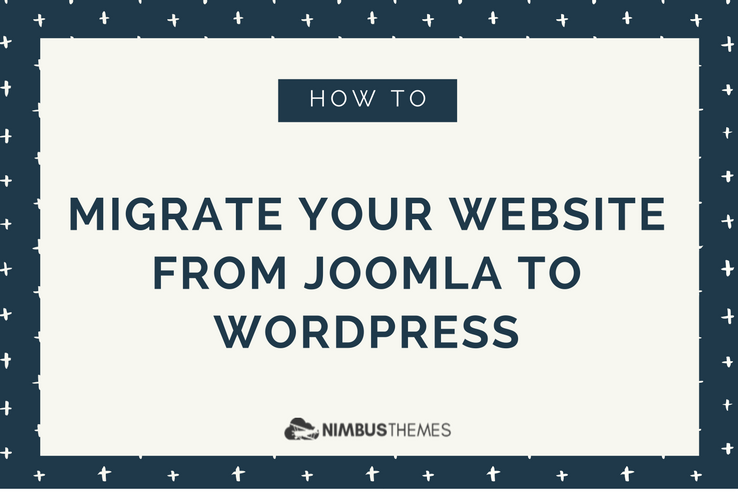 With this in mind, in the next section, we’ll show you how you can migrate your website from Joomla to WordPress in four simple steps. How Do I Migrate My Website From Joomla to WordPress? In this section, we’ll walk you through a step-by-step tutorial on how to migrate your website from Joomla to WordPress. However, there are a few things you need to cross off your checklist before you can begin with the tutorial – hosting, domain, and WordPress. #Joomla getting too overwhelming? Migrate your #Joomla website to #WordPress – in four easy steps! If you haven’t done so already, you’ll need to pick out a good web hosting provider to host your new website and select a domain name for it. After that, you can follow the Famous 5-Minute Install to install the WordPress CMS on your website. The easiest way to migrate your website from Joomla to WordPress is by using the FG Joomla to WordPress plugin. It’s a simple WordPress plugin that will migrate your Joomla website’s sections, categories, posts, images, media files, and tags over to WordPress safely. To get started, log into your WordPress website and navigate to Plugins > Add New from the dashboard. Next, search for the FG Joomla to WordPress plugin. It should be the first option in the search results. Click the Install Now button to begin the installation. When the plugin is done installing, click the Activate button to proceed. You’ll be redirected to the Plugins screen which displays a list of the plugins you have installed on your website. If everything looks good so far, move on to the next step! In order to migrate from Joomla to WordPress, there are a few key bits of information we’ll need to gather from the existing Joomla website. To get started, open up a new tab, log into your Joomla website’s back-end and head over to System > Global Configuration. From the Global Configuration screen, navigate over to the Server tab and find your way to the Database Settings section. The Database Settings section contains information about your Joomla website’s host, database username, database name, and database tables prefix that we’ll need in the next step. Now that we have our Joomla site’s database parameters, we can actually get started with the migration process. So, to kick things off, navigate back to the tab in which you have your WordPress website’s back-end open. 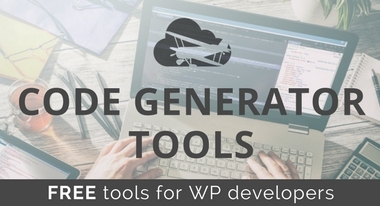 From the WordPress dashboard, head over to Tools > Import. If you’ve been following the tutorial carefully up till now, you should see the Joomla (FG) option fourth on the list right between the Categories and Tags Converter and Live Journal options. Click on the Run Importer link under Joomla (FG) to continue. Upon clicking the link, you’ll be redirected to a new Import Joomla (FG) screen, from where you can configure multiple options for the migration. Let’s step through them one at a time. 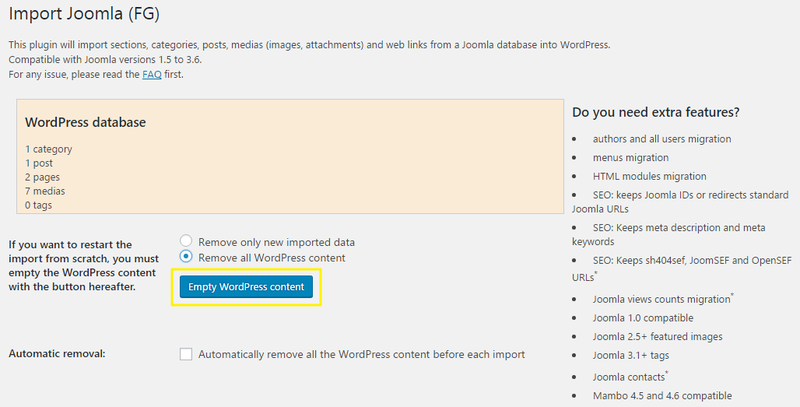 First of all, if you have any content on your WordPress website, you’ll need to delete it in order for the Joomla to WordPress migration to work correctly. You can, of course, create a backup of your website before you delete the content just to be on the safe side. Instead of manually deleting your content, you can simply click the Remove all WordPress content option and hit the Empty WordPress content button. Next, enter your Joomla website’s URL in the URL of the live Joomla web site text field. This will let the importer know where to pull the content from. Now, copy/paste the database information from the Joomla tab in the respective text fields under the Joomla database parameters section. Once you’ve done that, click the Test the database connection button to make sure the database information was entered correctly. Import introtext. Allows you to select which introtext to import from Joomla. If you’re not sure which one to enable, go with the default setting. Archived posts. This option lets you decide how you want to import archives posts. You can choose to import them as drafts, import them as published posts, or don’t import them at all. Media. 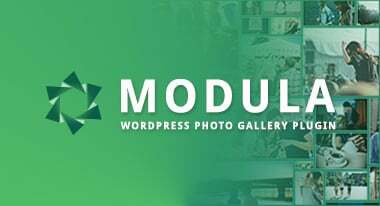 If you want to use the importer to move your media files from Joomla to WordPress, then you can configure the settings in this section. It allows you set the featured image, define the timeout interval for each media file, and much more. However, if you’d rather skip importing media files, you can select the Skip media option and import them manually later on. Meta keywords. If you’d like to stay on top of search engine optimization then you may want to import meta keywords from your Joomla website as tags into WordPress. Create pages. 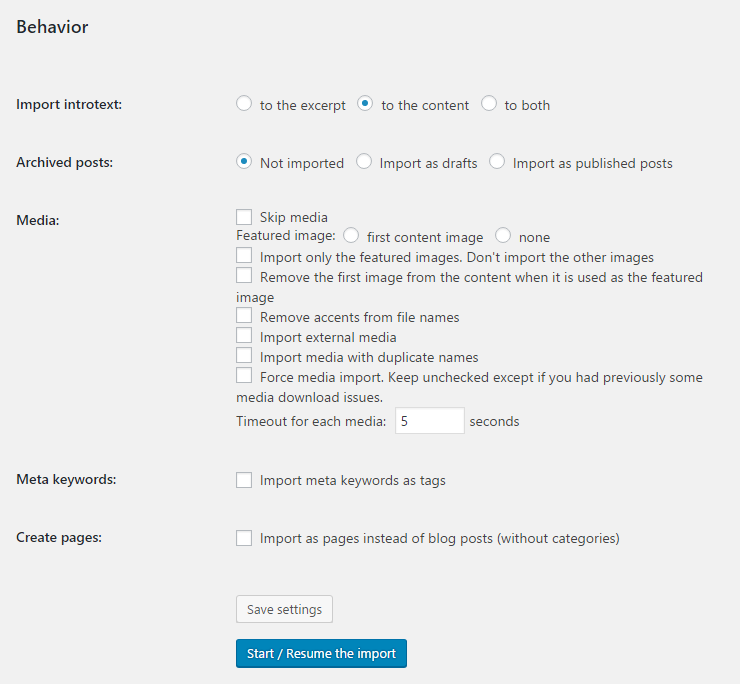 If instead of importing the blog posts as Posts in WordPress you’d rather import them as Pages, then enable this option. Once you’re done configuring the settings, hit the Save settings button. After your configuration settings have been saved, click on the Start/Resume the import button to begin the migration process. Once the migration is complete, you’ll receive a success message displayed across the screen. At this point, all of the content should be imported from your Joomla website into your WordPress website based on your configuration settings. All that’s left to do now is modify the internal links. If you’ve linked to different posts or pages on your website from within your content, then their URL will be that of your Joomla website. To make sure visitors stay on your new WordPress website, you’ll need to update the internal links to new website’s URL. 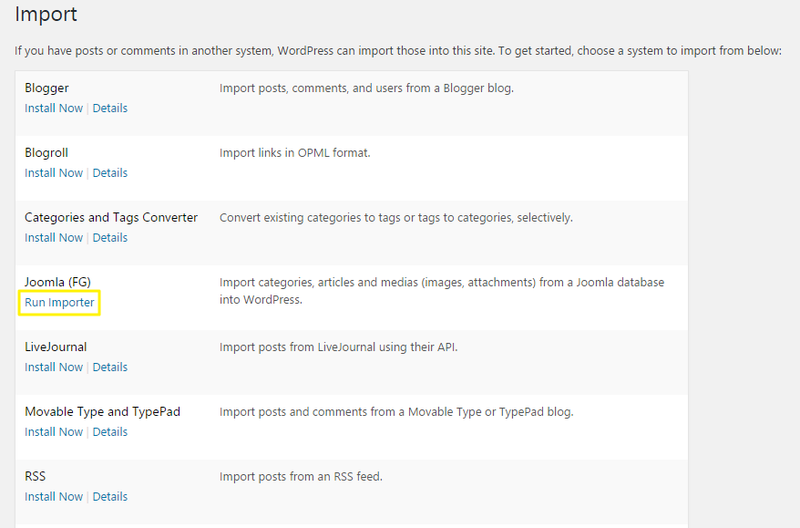 Thankfully, the FG Joomla to WordPress plugin has a built-in option that does this for you – automatically! To modify your internal links, head over to Tools > Import from the WordPress dashboard and click on the Run Importer link under Joomla (FG) once again. Scroll down to the After the migration section and click on the Modify internal links button. That’s it! The FG Joomla to WordPress plugin will automatically detect and modify all of your internal links to the new, updated URL. 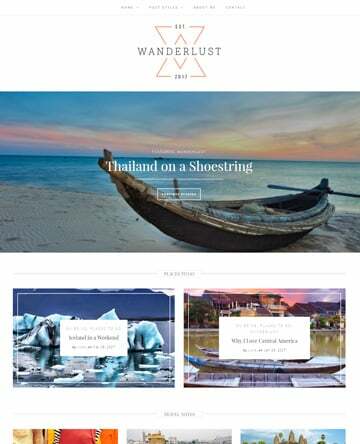 If your Joomla website is getting too difficult to manage or you’re thinking about expanding your team, then migrating over to WordPress is a great option. 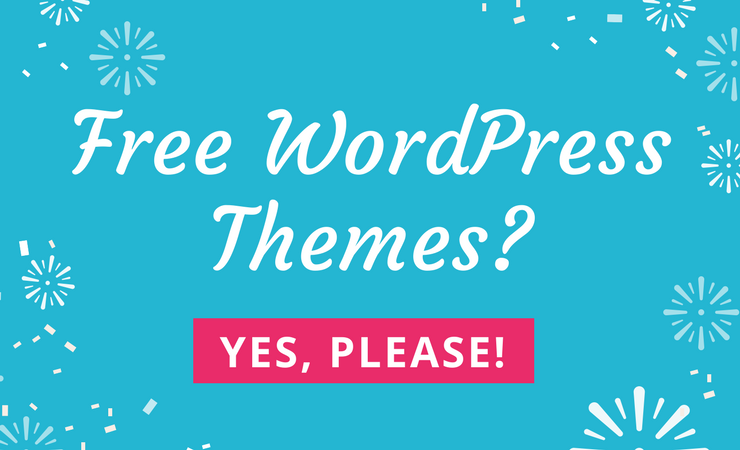 WordPress offers a flexible and easy-to-use platform, not to mention it’s the most popular content management system out there. Install the FG Joomla to WordPress plugin. 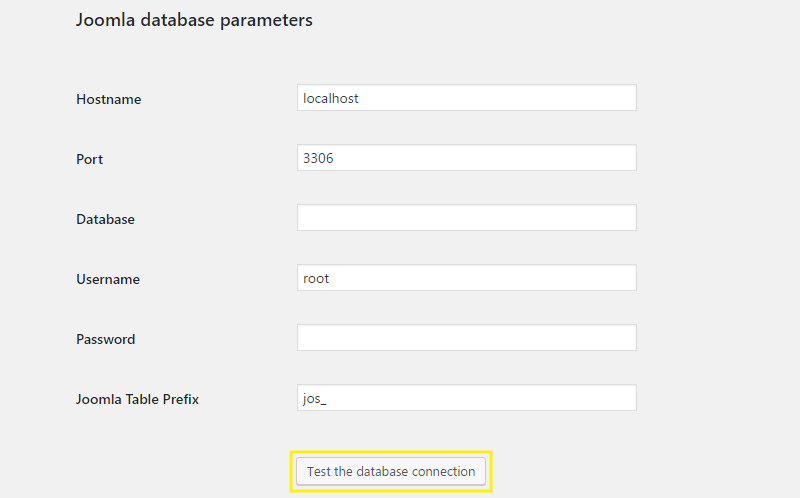 Find your Joomla website’s database parameters. 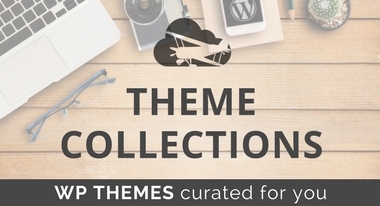 Migrate your content into WordPress. Do you have any questions about how to migrate your website from Joomla to WordPress? Let us know by commenting below! 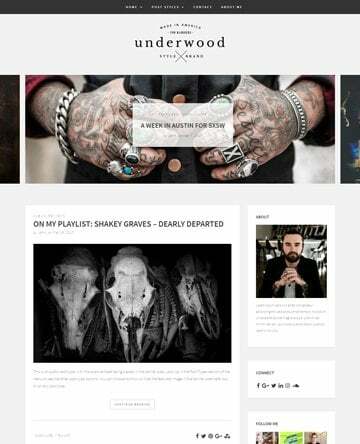 A professional writer, digital, and brand designer, Rafay's work is published across a number of high-authority sites and magazines. He has provided services to numerous brands across the globe and is the go-to solution provider to many reputable private and government organizations. He is also the co-founder of BloggInc.When he isn't overloaded with work, you can find him tending the farm with his wife, furniture hunting, and being awesome at in-door badminton.